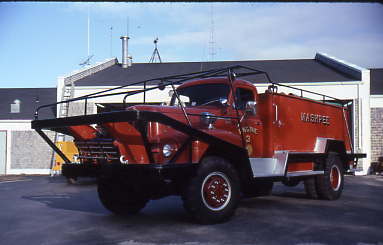 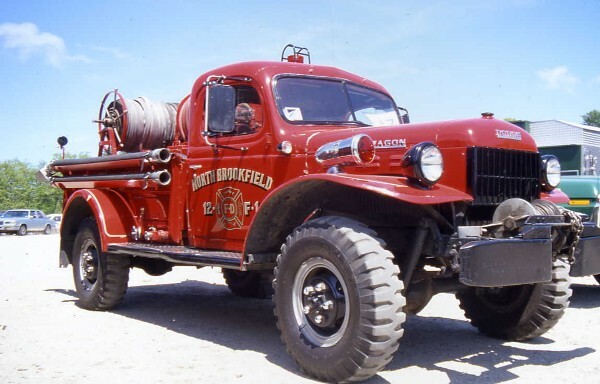 In 1957 the Mashpee Fire Department built this Brush Breaker on an International chassis. 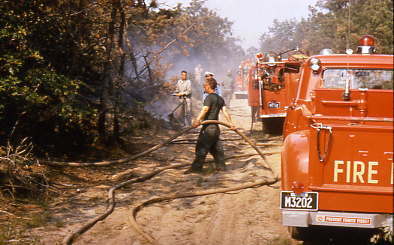 as a brush breaker. 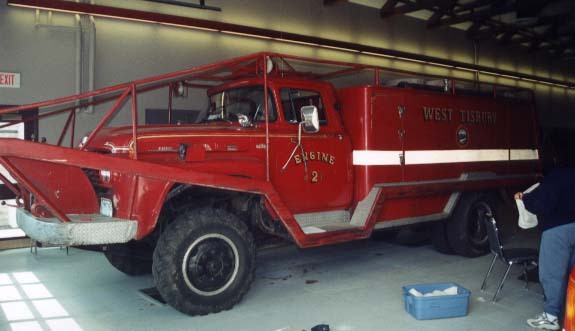 This breaker went out of service in 2000. 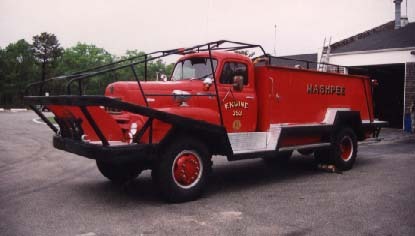 Mashpee Breaker 353 in 2001. 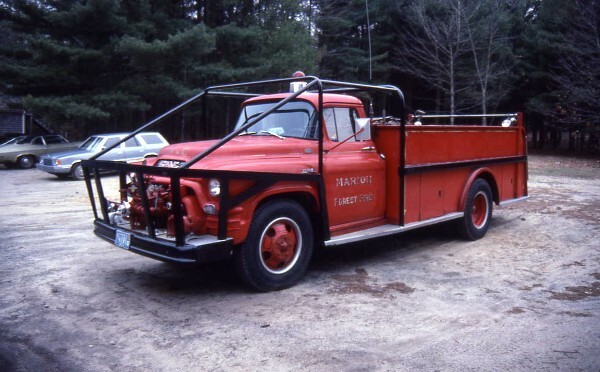 Faded, retired, and rusting away behind the Mashpee Station. 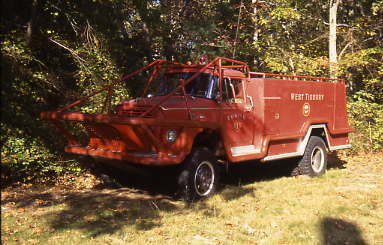 West Tisbury brush breaker retired behind the old West Tisbury fire station. 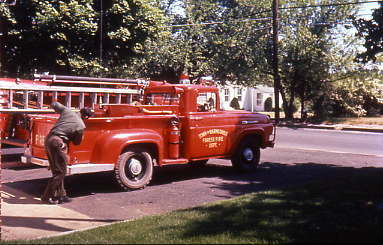 750 gpm / 750 gallon Brush Breaker. 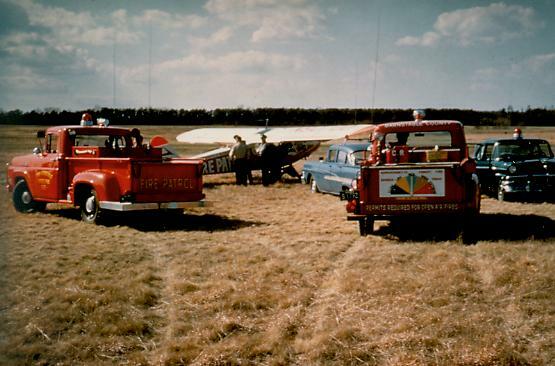 the pilot of the Barnstable County airplane at the Marstons Mills airport. 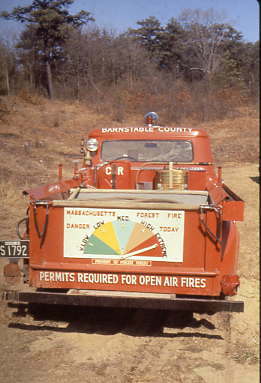 danger scale displayed on back of the tailgate. 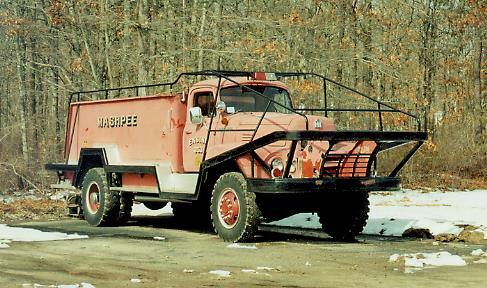 Town of Barnstable Patrol 210.
were very useful at these fires. 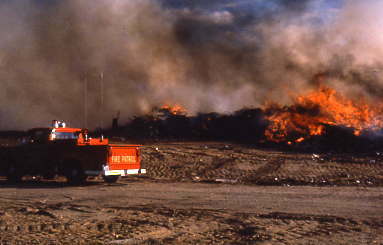 Patrolmen and firefighters battle a roadside brush fire. 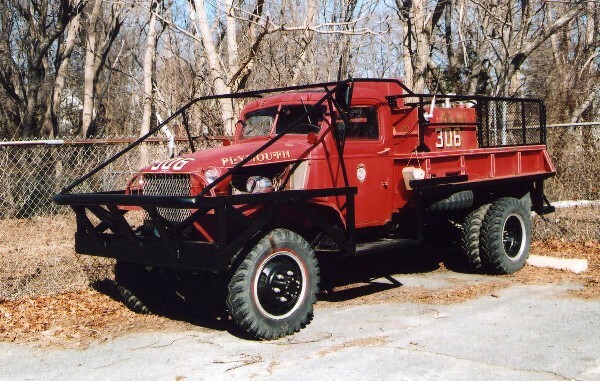 Patrol 210 was assigned to the Osterville Fire Station. 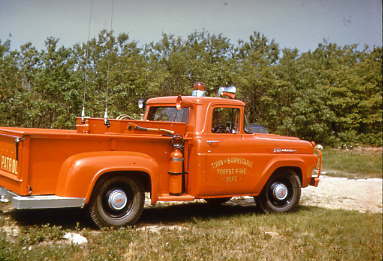 1967 Ford Patrol truck 210. 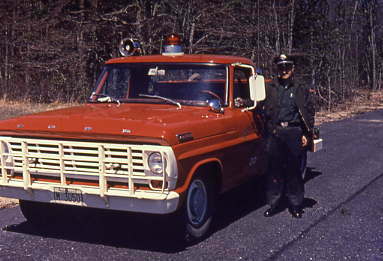 1960s Ford patrol truck actually served as the Fire Chief's vehicle in Sandwich. 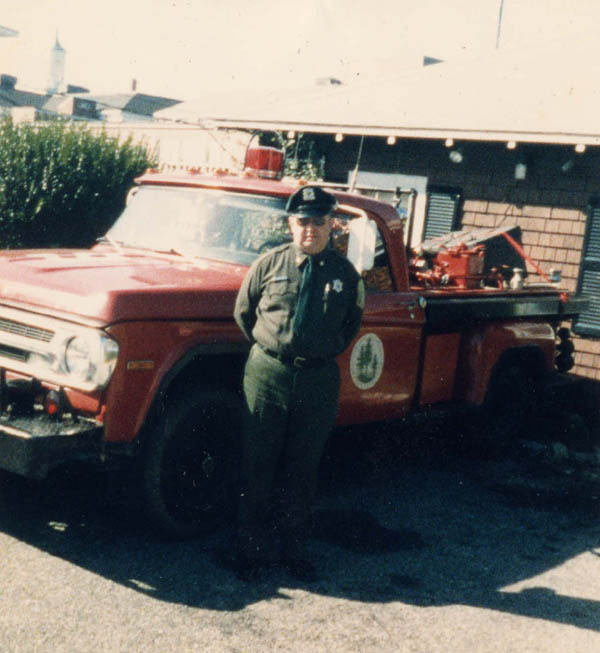 Lower Cape patrolman Pete Martin with 1960s Dodge State patrol Truck. 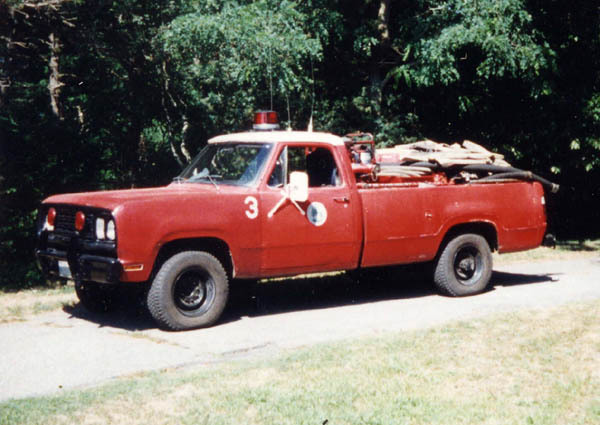 1970s State Patrol Truck 3 and former Falmouth Brush Breaker on Naushon Island. 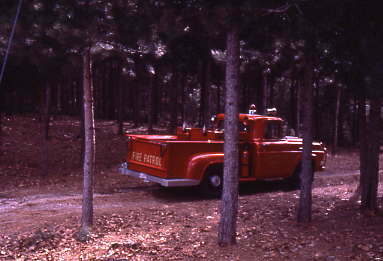 The old brush breaker is the only fire apparatus on the private island. 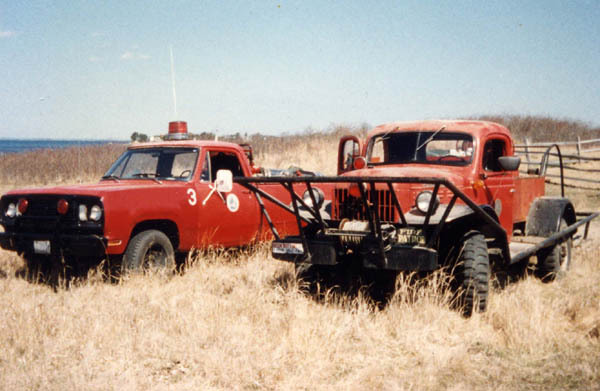 State patrol truck 3 in 1970s. 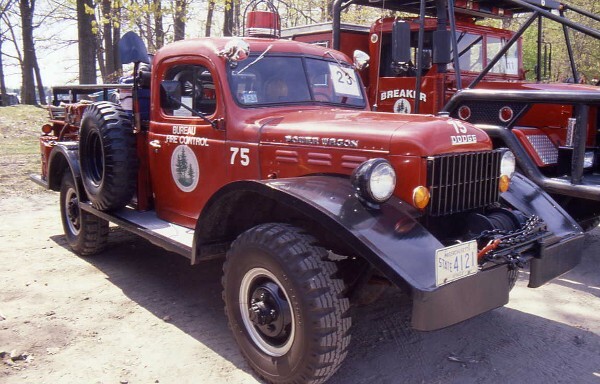 Old Plymouth breaker. 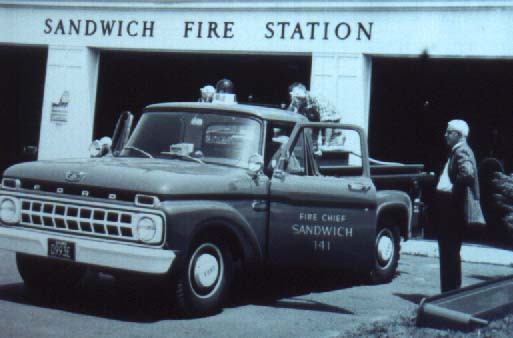 Photo Feb 2005.